A good cabinet maker knows redlines on drawings mean the designs are bettered with revisions. But a great cabinet maker knows ‘no-redlines’ mean the designs are done right with intensive inter-team communication. In fact such designs are developed as a result of tandem like coordination, centering on the customer needs, between the designer and the manufacturing shop engineer. But redlines are inevitable. Albeit product configurators have been around in the industry for a long while, redlines are seemingly non-destroyable when bespoke designs take the center stage. To get it started, custom designs for furniture like cabinets or millwork furniture are prepared in the stagiest way possible. A rough sketch from architects goes to the furniture design engineer and then precise dimensions are assigned to each feature of the furniture geometry – millwork, casework or standalone furniture pieces. Ideally, the process is a one-go sketch with parametric CAD software, but it seldom happens. Each team involved with the development of design would want their idea to get materialized and reach the manufacturing shop floor. In order to reach a consensus, several revisions happen. Sometimes the architects end up changing the designs and other times the designers have to adjust the dimensioning in accordance to the manufacturers’ tool sets. A drawing once made is exchanged between the teams several times to ensure the drawings and manufacturing alignment. Each time the drawings are received, corrections and upgrades are done in form of redlines. Although paper drawings have been eliminated significantly at the design development stage, millwork and furniture industry professionals have this uncanny habit of bringing them back. These redlines done for mark-ups, are overlays the existing drawings, dimensions, notes and other instructions. As a result, they not only make the drawings difficult to read but also contribute to miscommunication. Furthermore, when such drawing inconsistencies are encountered during the machining stage and are not readable, they raise ECOs adding to the engineering lead time. It goes without saying that the queue time and machining time for that job increases drastically causing further delays in the time spent in machine shop lowering the output. If you are blaming the designers only, then you probably have a misleading concept. Redlines surely originate because frequent amendments in the initial designs. But when observed closely, redlines emerge as the constant urge to make the designs suitable for both, manufacturing and user needs before the final drawings are released for manufacturing. In order to minimize the rework and scrap expenses, designers ensure that drawings for highly custom products, such as cabinets, are finalized long before the deadlines. But owning to unavoidable challenges and constant influx of changes due to user’s fickle mindedness, changes happen. When changes aren’t addressed at the right time, they create more hassle. But avoiding such inconvenience isn’t impossible even for highly custom and bespoke products. Paper drawings have been replaced by CAD and are slowly migrating to custom product configurators with which the end-user customizes the products. At the manufacturer’s end, if the designing interface for customer is the configurator, the available design options are only the ones that are permissible from the design end as well as the machine-able. Thus, when the product configurators generate final drawings and shop floor receives them, they are completely free from redlines. One can hardly see any mark-up lines or revisions unless of course there is an issue with the machine. However, the consistency of the final drawings depends largely upon logical set of rules based of configurators embedded within the CAD platform. The master model developed and customized by the user on later stages and the permissible values of certain design features and geometrical dimensions play a significant role. CAD Configurator, thus, can fix the bugs of consistent designs that designers want to in the first place. CAD configurators, ideally, helps the designer to fix designs before the designs are released for manufacturing and every hope for fixing them vanishes into dark like the sunset at dusk. 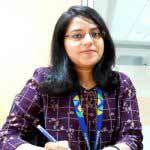 Usha B. Trivedi is a mechanical design engineer at Hi-Tech Engineering services – a company invested in industrial CAD drafting, modeling, and design automation. Ms. Trivedi writes about solution finding approach in CAD and design automation challenges backed by her years of exploration in industrial designing in furniture, millwork, and metal fabrication designs. What is Keeping Manufacturers from Shifting to 3D CAD? Please fill up the form below to discuss your detailed project requirements and help our team to get in touch with the right contact person. By checking this box; I understand and agree to be communicated for the said and mentioned purpose of business and/ or service provision by the domain owner. Copyright © 2019 Hi-Tech Engineering Services.